Pioneers in the industry, we offer saree fabric covered notepads, embroidered fabric covered note pads, old look handmade paper notepads, antique look paper notepads, leather handmade paper notepads and jute fabric covered notepads from India. 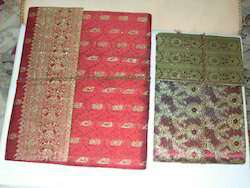 Saree Fabric Covered Notepads available in a large assortment of Designs. Madhubani Print Cover Notebooks, large variety of designs available. 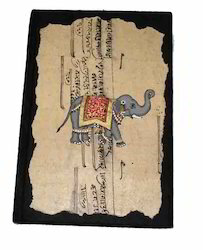 Indian Theme Inspired Notepad with various design cover options. Jute Fabric Covered Notepads available in Various Colors. Jute Fabric Covered Notepads available in various Sizes. Vintage Leather Look Notepads available in various sizes. 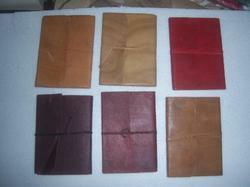 Leather Handmade Paper Notepads, available in a variety of colors. Embroidered Fabric Mini Notepads. Ethnic Indian Theme Notepads available in a wide variety of sizes.Embroidered Fabric Covered Notepads available in assorted Sizes. Old Look, Antique Theme Notepads available in a wide variety of Colors. Embroidered Fabric Covered Notepads available with a choice of Covers. We are also manufacturing a large range of Mini Note Pads. We manufacture a large range of Handmade Paper Notepads.. Embroidered Fabric Covered Notepads. Our Animal Theme Notepads are quite Popular. We manufacture a large range of handmade paper notepads. Embroidered fabric covered notepads. Old look, antique theme notepads available in a wide variety of colors. Embroidered fabric covered notepads available with a choice of covers. We are also manufacturing a large range of mini note pads. We manufacture a large range of handmade paper notepads. Embroidered fabric Covered notepads. Our animal theme notepads are quite popular. 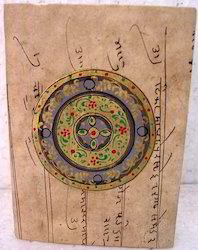 Covered notepads. Our animal theme notepads are quite popular. Jute fabric covered notepads available in various sizes. Vintage leather look notepads available in various sizes. 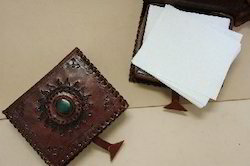 Leather handmade paper notepads, available in a variety of colors. Embroidered fabric mini notepads. Ethnic indian theme notepads available in a wide variety of sizes. Embroidered fabric covered notepads available in assorted sizes. Old look, antique theme notepads available in a wide variety of colors. Embroidered fabric covered notepads available with a choice of covers. We are also manufacturing a large range of mini note pads. We manufacture a large range of handmade paper notepads. Embroidered fabric covered notepads. Our animal theme notepads are quite popular. Jute fabric covered notepads available in various colors. 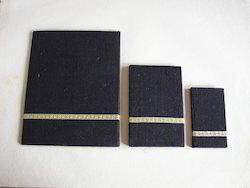 Jute fabric covered notepads available in various sizes. Vintage leather look notepads available in various sizes. Leather handmade paper notepads, available in a variety of colors. Embroidered fabric mini notepads. Ethnic indian theme notepads available in a wide variety of sizes. Embroidered fabric covered notepads available in assorted sizes. Old look, antique theme notepads available in a wide variety of colors. embroidered fabric covered notepads available with a choice of covers. We are also manufacturing a large range of mini note pads. 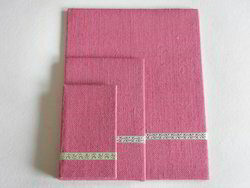 We manufacture a large range of handmade paper notepads. . Embroidered fabric covered notepads. Our animal theme notepads are quite popular. We manufacture a large range of handmade paper notepads. Buffalo and goat leather journals in various colors in assorted sizes Goat Leather Journals in a wide assortment of Rich Colors. Custom Made Leather Journals in Large size with Custom Logo Embossing We also logo Emboss our leather journals as per your custom logos. Our leather Embossed journals can also be embossed with your patterns. 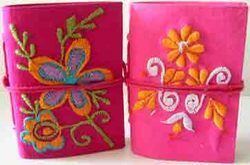 We carry a large range of Leather Embossed Handmade Paper Journals sLeather Embossed Handmade Paper Journals. Crush Leather Journals Available in a variety of Colors and Sizes. Leather Embossed Journals available in a wide variety of sizes and designs. Om Design Leather Embossed Handmade Paper Journal, available in a variety of sizes. Indian Design Themed Embossed Leather Journals Embossed Leather Journals available with a large variety of Embossed Covers. Fancy Leather Journals available in varying Leather Finishes on Covers.We are also manufacturing Embossed Leather Journal made in Handmade Papers. We manufacture a large range of Leather Journals. Our Leather Journals are available in a wide variety of sizes. Our Leather Journals are available in Buffalo and Goat Leathers. We are also supplying Leather Journals with Hand Painted Covers Our Leather Journals Are made with Cotton Rag Handmade Papers. Our Leather Journals are also available with Embossed Covers.